The ice cream business tends to slow down during the colder months, when even die-hard fans aren’t eager to sit in a chilly car or outside at a picnic table. 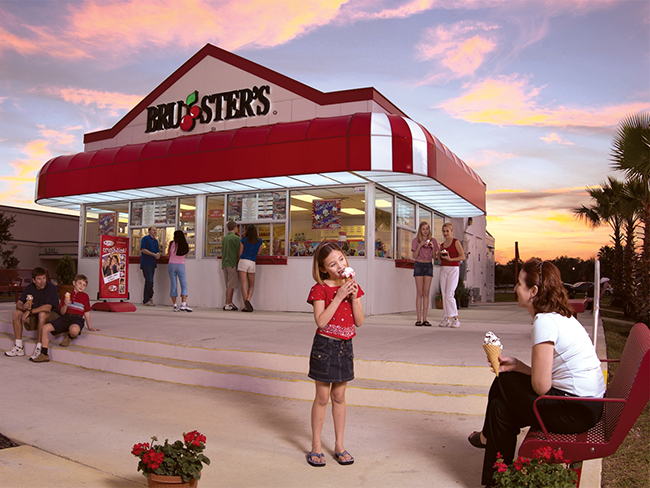 Bruster’s Real Ice Cream, a 200-unit chain based in Beaver, Pa., has operated freestanding units with no indoor seating since its start 25 years ago. 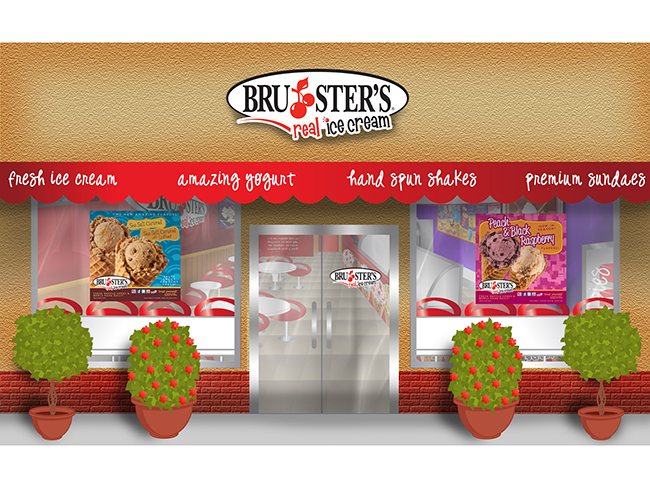 With the goal of growing the concept and its customer base, Bruster’s studied the frozen treat segment for two years. 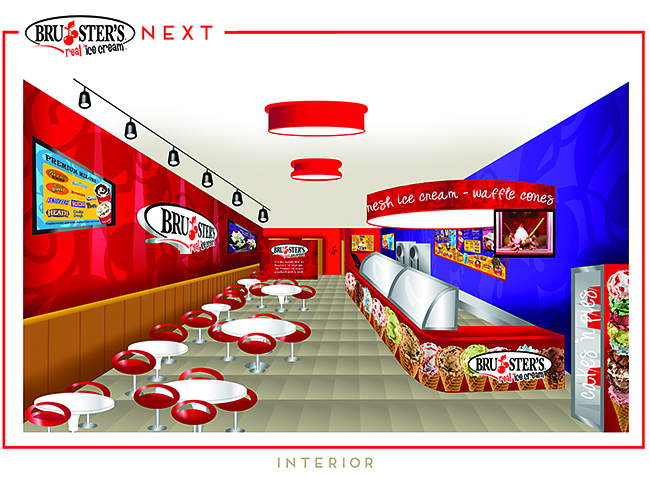 Guest research, franchisee input and market analysis resulted in a new prototype to accommodate year-round visits and expand the product mix, says CEO Jim Sahene. 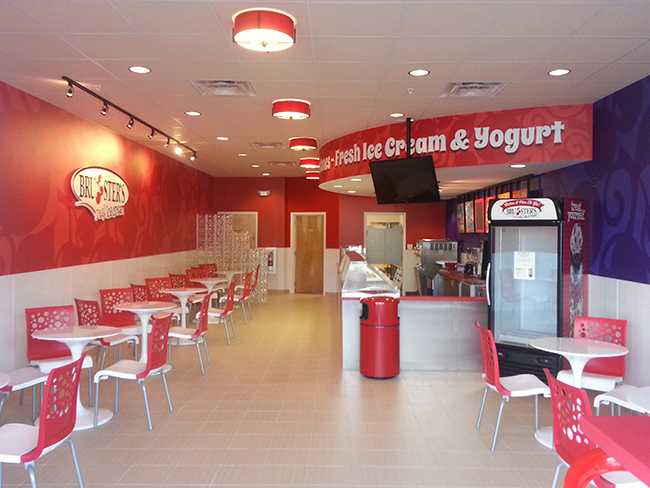 A franchisee in Savannah, Ga., opened the first new prototype last month. In addition to tables and chairs, the shop sports a Treat Theater—a glass display of 25 ice creams, sorbets and Italian ices and a 20-ingredient topping bar; previously the tubs were hidden in reach-in freezers. Two other additions are a digital screen flashing treat photos and a menu board detailing the larger lineup. To attract snackers, frozen yogurt and fruit smoothies with shots of protein powder are now available. “The new prototype and revamped business model will help us boost penetration in current markets and expand the brand to new locations,” says Sahene.